It’s our belief that the most important part of dentistry is preventative care. The best way to treat a disease is to prevent it from ever occurring. 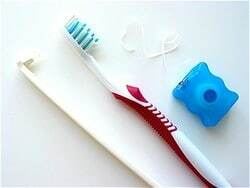 It’s been long known that oral health is connected to your overall health. Good oral disease prevention paves the way for better overall health, self-esteem, and quality of life. For these reasons, we pride ourselves in providing the best in preventative care. We address the needs of the entire family (children and adults). Cleaning, Prophylaxis, Recommended Fluoride Treatment for Children. The norm for patients at Fishinger Dental and majority of other dental offices is to return every 6 months. However, each patient is different so we will recommend alternative recall periods depending on a patient’s oral health. These recommended recall visits can be less then 6 months or even greater then 6 months, it depends on the patient’s oral status! At each recall appointment patients will have a comprehensive dental exam as listed above. Each patient will receive the latest tips and advice regarding preventative home care. We understand every patient is different and personalized insights, advice, and techniques are given to each patient to improve and sustain their dental health. If a patient has questions, they will be answered and addressed with the most up-to-date knowledge!